Want to see the latest blockbuster or an independent film? Amsterdam has a movie theater to suit every taste. Find a new favorite Amsterdam cinema on our list. Here are a few of our top picks for big and small screen, arthouse and blockbuster Amsterdam movie theaters! If you love movies, don’t miss Amsterdam’s terrific film festivals like PLUK DE NACHT and be sure to visit the EYE FILM MUSEUM. Check our AGENDA to see if there is a film festival on now. There is always somewhere new to catch films in Amsterdam. A retro modern movie theater located near Leidseplein, Cinecenter shows art house style films on their 6 screens. Chill out in the bar area before or after your movie, or during the mid-film pause. Normal price tickets run €9,50 or come for a weekday matinee and save €1. A Cineville pass can be purchased for €19 per month which allows unlimited movies at Cinecenter and 12 other theaters in Amsterdam. Check the website for other discounts for this Amsterdam movie theater. Want to see the latest Hollywood blockbuster or 3D film? Then head to one of the four Pathé theaters located around Amsterdam. 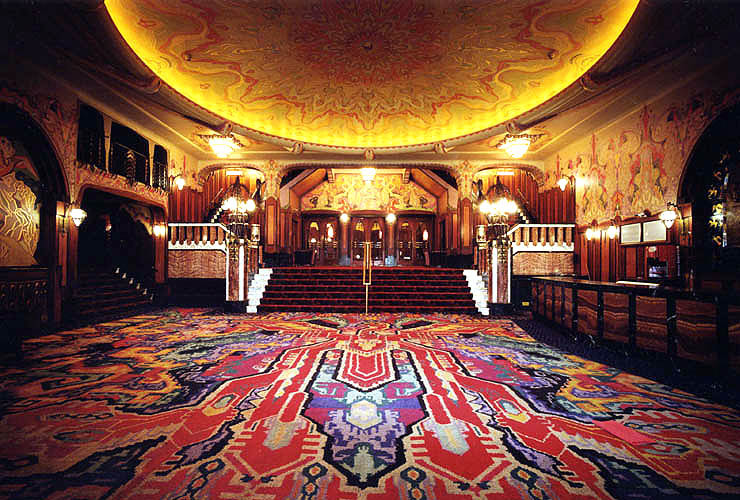 One of our faves is Pathé Tuschinski, located near Rembrandtplein. This lovely old theater was built in 1921 by Abraham Icek Tuschinski, a Jewish businessman who owned several cinemas around the Netherlands. He died in Auschwitz in 1942. The theater is beautiful inside and out with many interesting details like a pipe organ. If you have the chance be sure to see a film here in the Grote Zaal. It is likely the most stunning Amsterdam theater. Pathé theaters are typically large with comfy seats. Tickets run €10-11, but many movie lovers buy the Pathé card which allows unlimited movie going for €19 per month. It’s hard to resist getting a Grolsch beer after you see the commercials and hear all the bottles popping open around you. The Movies is the oldest cinema in Amsterdam, open since 1912. Showing art house films on their four screens, The Movies is a great choice for an evening out combining a great film with a meal or drink in their restaurant and bar. The lovely old theater has a stylish interior and charming old-fashioned exterior. Movie tickets are priced at €9, with discounts available. Check the website for more information. A Cineville pass can be purchased for €19 per month which allows unlimited movies at The Movies and 12 other theaters in Amsterdam. The Movies is also one of the Amsterdam locations for Cinemum, a great idea for parents with small babies. These special showings are only for those accompanied by a baby under 1 year old. The sound is turned down, the lights are turned up and parents need not feel guilty when their baby cries during the film. Everyone will understand! Check the website for more details. 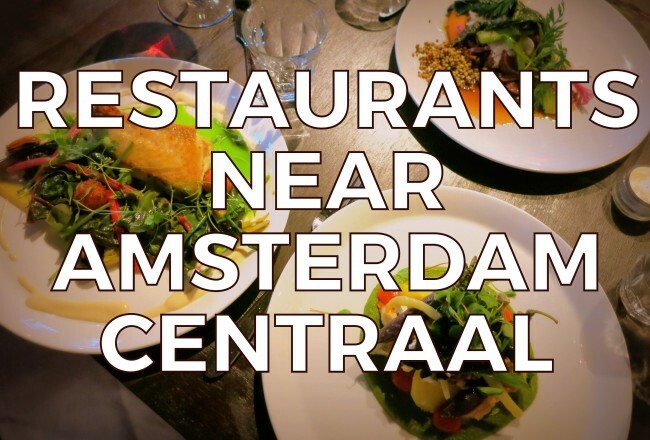 There are many amazing places to drink and dine on and around the Haarlemmerstraat. Check out our guide to the area for lots of ideas. The big new theater at De Hallen has 9 screens and shows all kinds of films: international, documentaries, Hollywood blockbusters, and movies for the kids. It’s the largest theater to also take the Cineville pass. De Filmhallen is the big sister to The Movies on Haarlemmerdijk. An interesting feature of the FilmHallen is the Parisienzaal which shows restored classics, previously unreleased titles and special releases. The UNESCO World Heritage art-deco interior was moved from the former EYE Museum in Vondelpark in 2014. It was originally the interior of Cinema Parisien on Nieuwendijk, built in 1924 by film pioneer Jean Desmet. De Filmhallen is a perfect choice on a cold or rainy evening since you can drink and dine at De Foodhallen or Halte3 and then enjoy a film without having to step outside at all. 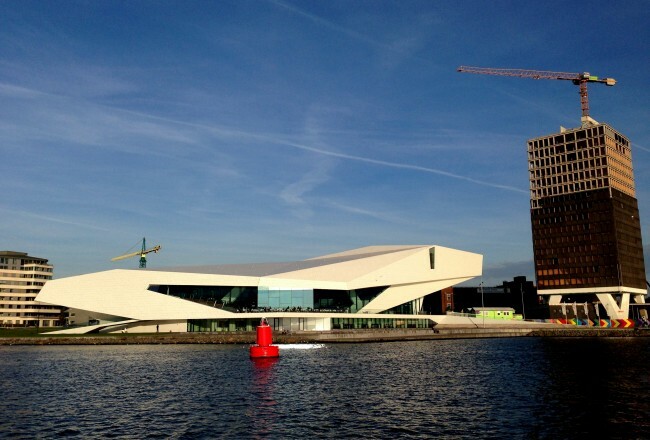 The new EYE Film Museum located across the IJ in Amsterdam Noord is a terrific place to see a movie. The brand new theaters are state of the art, and the EYE shows an excellent selection of new release and classic films. The EYE theaters also host a variety of special programs so be sure to check the website for the latest offerings. Tickets to films at the EYE are typically €9,50. 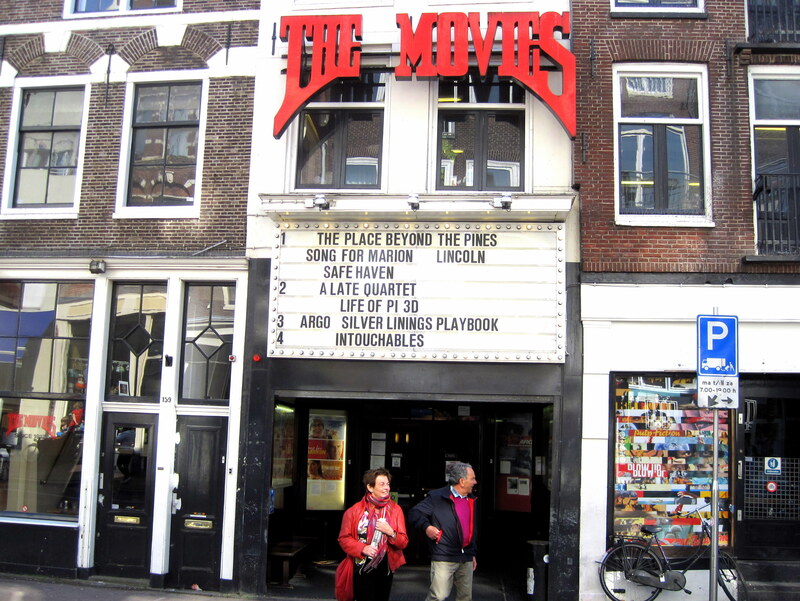 A Cineville pass can be purchased for €19 per month which allows unlimited movies at EYE and 12 other theaters in Amsterdam. Before or after a film at the EYE you can dine at the EYE Cafe or next door at THT. 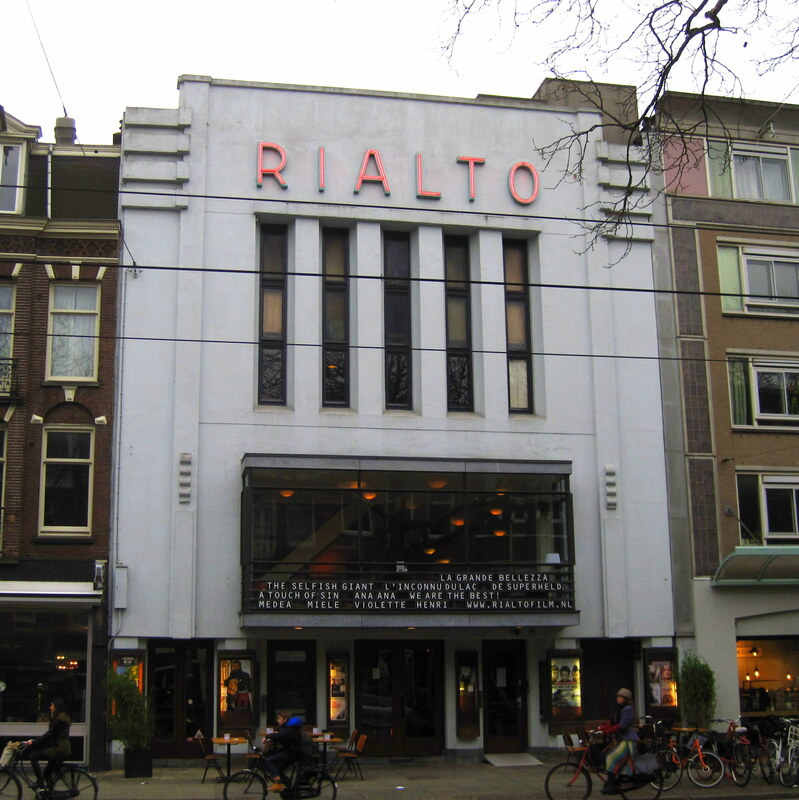 The Rialto is a neighborhood cinema in de Pijp showing interesting independent films, including many international offerings. Twice a week Rialto shows excellent classic films from years past. Visit their restaurant and bar before or after the movies. Rialto is part of the Cineville pass program. Why not grab a glass of wine before or after the film? Two terrific wine bars are just steps away. 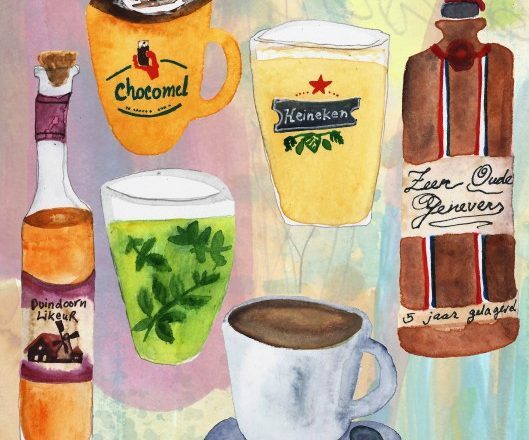 try Wijnbar Paulus or Glouglou. If you are hungry check out Par Hasard, SLA, De Japanner, Coffee & Coconuts, or one of the many delicious places to eat in De Pijp. For 30 years De Balie has been a place for the public to meet with artists, politicians, opinion leaders and scientists and discuss developments in society. Now De Balie is a wonderful cafe and restaurant and also houses a cinema. You’ll find all kinds of fascinating alternative films, documentaries, international and political films here, and De Balie often hosts film festivals as well like IDFA and World Cinema. Check their agenda for what’s showing now. You can combine a night at the movies with a meal in their Grand Cafe as well. Buy a Cineville pass for €19 per month which allows unlimited movies at De Balie and other theaters in Amsterdam. A newer theater located in the converted buildings of Westerpark, Het Ketelhuis is a modern venue showing a variety of independent films. Het Ketelhuis has a cafe offering drinks and a simple food menu, or visit one of the nearby Westerpark cafes for a meal before or after your movie. Tickets are €9 or buy a Cineville pass for €19 per month which allows unlimited movies at Het Ketelhuis and 12 other theaters in Amsterdam. Enjoy an entire evening or even a full day at Westerpark when you visit Het Ketelhuis for a film. You can drink and dine at Brouwerij Troost, Wester Wijnfabriek or Mossel & Gin and dance the night away at Pacific Parc or Westerunie. You could even stay the night at Leidinghuis, Hotel de Windketel or Gustafson. This cool theater in the Plantagebuurt is cooperatively run by students. Showing independent and major release films, Kriterion was started by two students after WWII to assist other students to earn some money while in school. The student organization also recently helped students in Bosnia start their own Kriterion in Sarajevo. Tickets are €9, with matinees priced at €7,50. A Cineville pass can be purchased for €19 per month which allows unlimited movies at Kriterion and 12 other theaters in Amsterdam. Studio/K, a sister to the Kriterion co-op, is also run by students. A cinema, nightclub and cafe all rolled into one, Studio/K offers a one-stop shop for a night out. Have dinner in the restaurant, watch an independent film, and then dance until the wee hours to house, techno or jazz. Movie tickets are priced at €9 and they even have a combination ticket for dinner and a movie for €19. The Cineville pass is also valid here. Conveniently located on the Prinsengracht near Leidseplein, De Uitkijk is a independent theater showing arty, alternative and vintage films. De Uitkijk is one of the oldest movie theaters in the Netherlands, set up by the Film Society in 1929. A perfect date idea is their “champagne package” that gives you two seats on the balcony, two bottles of prosecco and a selection of chocolates or salty snacks. Join We Are Public for free invitations to their special showings. For something a bit different, visit Filmhuis Cavia. 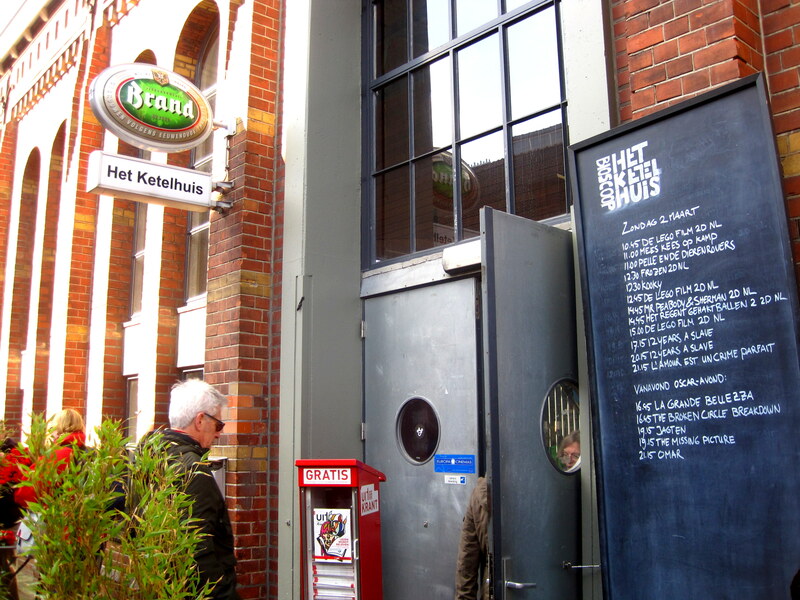 The oldest underground art house cinema in Amsterdam, Cavia shows cult, alternative and independent films. Check the website for the latest offerings. You can’t miss at €4 for a ticket, and Cineville pass holders get in free. A former squat, OT301 is a multi-use space run by Vereniging E.H.B.K. that houses a theater, cinema, art gallery, club, as well as studio space and residences for artists. The building located at Overtoom 301 also houses De Peper, a restaurant that serves organic, vegan food. Check the website for the current selection of quirky films. Tickets are typically €4 or less. If you’d like a few more drinking and dining options in the area, check out Voldaan for a healthy and hearty bite and Craft & Draft for amazing beers. We hope you enjoyed this Amsterdam cinema list. If you love movies, don’t miss Amsterdam’s terrific film festivals like PLUK DE NACHT and be sure to visit the EYE FILM MUSEUM. Check our AGENDA to see if there is a film festival on now. There is always somewhere new to watch films in Amsterdam.